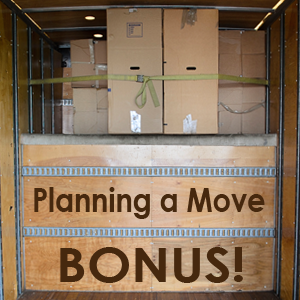 Planning a Move - Bonus | Cummings Moving Co. Welcome back! Wow, this has been quite the series. We know that planning a move in San Francisco, or anywhere in the country for that matter, can be a major project. Our objective with this series is to make your move the best experience it can possibly be. We covered quite a bit of territory and dug into things you need to know before, during and after your move. We have compiled a table of contents to help you find the topics of interest to you. Take a look and see if there is something you would like to learn more about. Below is a list of 20 topics we covered in this Blog Series: Planning a Move in San Francisco. Please make note of which part of the series you can find the topic and click the link for that part of the series. Part 6 – Do I Tip My Professional Moving Crew? When you arrive at your new home, there are several things you’ll need to do right away. We’ve compiled a list of the Top 10 to help you out. Set up new electric, water, gas, trash and recycling service. Best to call in advance so the service is on when you arrive (or at least in the process of being set up). Consider local weather! If you just moved from CA to Chicago in October, get a bag of road salt and a snow shovel and throw it in your car. Regardless of where you have moved, ask a local resident about the FIRST things you should do now that you have arrived. Locals know best! Make a shopping list of urgent necessities: Food, sundries, furniture and appliances big and small. If you have moved to a new state, find out how much time you have to get a new driver’s license and make sure your car complies with local rules and regulations. Get a lead on a good mechanic! If we told you how often a client’s car breaks down just after a move, you would take this advice! Try CarTalk.com, a local review site or ask your new neighbors. It’s like an umbrella… have it on hand and you won’t need it! Check your car insurance! Your current car insurance company may not underwrite in your new state. Best to find that out NOW! Find a good Doctor, Dentist… and figure out where the hospital, police and fire department are. Post a list of these numbers on the fridge! MOST IMPORTANT! Find out who delivers GREAT PIZZA at late hours. And, if you like, find one who delivers beer too! Figure this out BEFORE you move and put this Very Important Number in your cell phone! It’s amazing how good a fresh slice and cold beverage tastes at the end of a move. Chinese and Thai work too! Photo Credit – A special note of appreciation to Lee Abel for her wonderful photo.